Mobikiwik your one stop shop for mobile Services Recharge, Offers, Premium Apps and more!MobiKwik is an online store where customers can recharge mobiles for self and family, find latest plans and offers and even search and download latest mobile applications. Telecom Talk goes behind the scenes to bring you this exclusive interview with Mr Bipin Singh, CEO – MobiKwik who was adjudged Entrepreneur of the week by yourstory.in recently. What is the business model behind mobikwik ? Bipin Singh: We realized that most mobile services today work in ‘push’ model i.e. the operator pushes down the services to customers and then customer selects what he wants. Customer has no place to go actively look for what she might want. It means limited choice and lower quality services. Mobikwik attempts to start a new ‘pull’ model in Indian telecom space. Whether you want mobile recharge, check out a new plan or a cool offer, or find premium apps for your handset, you can do it all at www.mobikwik.com. We make money anytime the customer purchases anything from our online/mobile store. All our content is sourced from partners (mobile carriers, app developers and so on) . How is mobikwik different from other recharge portals? Bipin Singh: Mobikwik is not designed to be just a recharge portal.It was founded with a vision to create an online store where all the needs of mobile owners can be satisfied. These include three major verticals: Voice, Data and Applications. We believe these would be the three pillars around which customer touch points would evolve in next 4-5 years. For prepaid recharge services, we are different in following ways. 5) Most importantly, outstanding customer support. We are the only ecommerce portal selling recharge which has a direct customer care form on home page and customer care number. We respond within 2 hours for 100% queries. At mobikwik, your money is always safe in mobikwik balance , your virtual e-wallet. What is the source of revenue for Mobikwik? Bipin Singh: Mobikwik currently makes money from commission of prepaid recharge. Why there is no postpaid recharge facility? Can we the same anticipate in future? Bipin Singh: In postpaid , bill payment is the biggest hassle which a lot of companies already cover. However, we will look at it based on demand from our customers. How secure is Mobikwik for online transaction would be happy if you brief us? Bipin Singh: Mobikwik is 100% secure. We use EBS ( www.ebs.in) as our payment processor which is PCIDSS verified and Verisign secure. Verified by Visa and Secure Mastercode are used for all Visa/Mastercard payments as per RBI guidelines. They have the industry leading risk management system which no other payment provider in India has. How do you see the Indian online recharge market? Bipin Singh: Indian online recharge market is a time bomb waiting to explode. If you come to think about it, what sense does it make to run to a shop to get something whose look or feel or taste doesnt matter to you. We estimate that out of 50 million internet users, anywhere close to 60-70% are prepaid and its growing rapidly as we speak. After jobs and online travel, online recharge will be the next big wave. What is Next for Mobikwik ? Bipin Singh: We have started with voice services (prepaid recharge for all locations for all operators across India) and will soon be launching data services (GPRS/3G top-ups) and plug n play mobile applications. We intend to provide our customers freedom from most of the hassles they face today when dealing with mobile operators or their services. In mobile applications, our focus will be on premium applications, innovative service delivery and app discovery. Today there are millions of apps out there, but how can you find the good ones? It is like searching needles in a haystack. We will create an ecosystem where you can discover and buy the best applications for as low price points as Rs 10. Bipin Singh: Mobikwik is trying to build a completely user-friendly mobile services portal and we are not there yet. We are constantly trying to add more operators and locations as new ones get launched ( like Tata Docomo, Uninor and MTS). How does Mobikwik see its competitors? Given our team( IIT/NID alumni) and our product which is the best in the market and still improving, we do not look at our competitors at all. We compete with ourselves! What’s your take on TelecomTalk ? 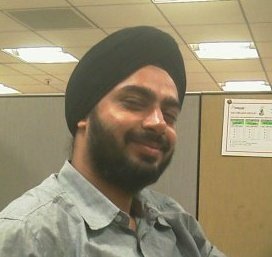 Bipin Singh:I think telecomtalk is probably the most useful blog for anyone related to or having interest in Indian telecom. The detail with which they cover various new plans and offers helps users get the best from their telecom carriers. Infact, mobikwik was searching for set of mobile codes and found that the one on telecomtalk is more exhaustive and correct than the one on wikipedia. Way to go! I hope the editors continue the good work as the Indian telecom industry ventures into the unknown terrain of 3G , number portability and unbridled competition. The customer service is still lacking. If there is no valid number (TOLL FREE), it should at least have chat process to make situation better. This is completely a fraud site. On 22 may I transfered Rs400 in my mobikwik wallet almost 2 weeks gone still I have not received. Customer executives are like they have no database showing my transaction………….